Denison graduates are typically successful in gaining admission to law schools across the country. Students’ performance on the Law School Admission Test and their academic records are the major determining factors in the admissions decision. The acceptance rate of Denison graduates is consistently well-above the national average. Representatives from a number of schools regularly visit the campus. Attending career panels, programs and completing internships in legal settings helps students make informed career decisions. Law school—and the legal profession—is for people who like debating, assembling and developing facts, expressing ideas clearly, probing issues and problems to basic premises or solutions, conducting interviews to obtain information, and the art of negotiating. If you enjoy reading and studying, analyzing logically and precisely, disputing and arguing, and both speaking and writing, then you will probably enjoy the rigorous study of law as well as a career in the practice of law. Explore the field of law by completing a Denison Internship or spending a full summer working in a law firm or another legal environment. See if you like thinking and writing as a lawyer. Find out if you feel comfortable in a legal setting. Representatives from a number of schools regularly visit the campus. Attending career panels, programs and completing internships in legal settings helps students make informed career decisions. What is it about the practice of law that attracts me? What skills do I have that would make me a good attorney? What are my values and ideals and how will they relate to a legal career? What, in fact, do lawyers do? Is that really what I want to spend my life doing? Are there other careers which would be more appropriate for my skills, interests, attitudes, and values? 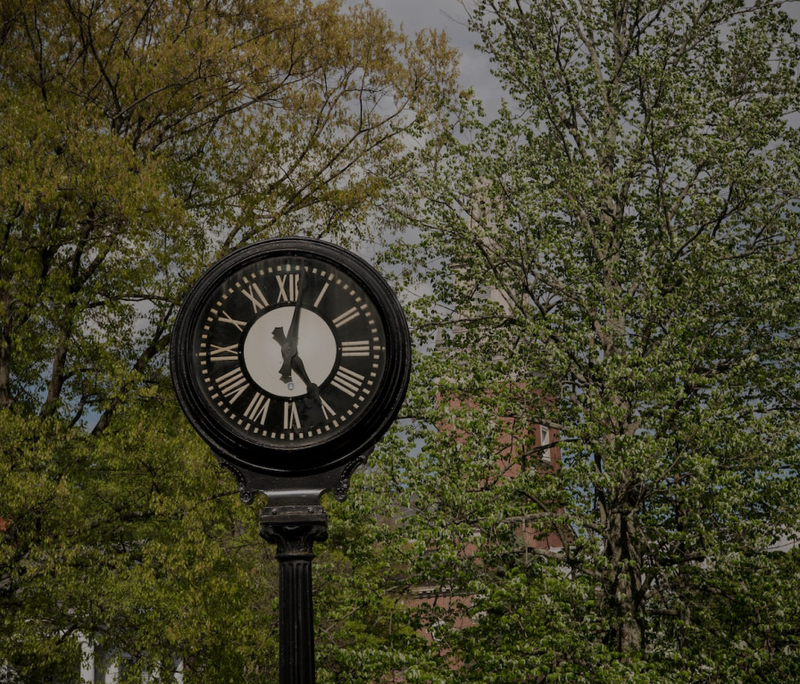 Talk with Denison alumni or attorneys in your community who are practicing law. Ask them what it is about the legal profession that they find satisfying and unsatisfying. Get in touch with J.D.’s who are using their legal degree outside the more traditional law firm environment. Talk with those who have left the practice of law for other career fields, and ask them why they have taken another direction. Read books and articles about careers in law. Find out about the job market and salary ranges of attorneys. Consider how you will finance your legal education. While the American Bar Association does not recommend nor do law schools require certain majors, graduates of liberal arts institutions are well prepared for the study of law. A recent statement by the ABA identifies important skills and values as well as significant bodies of knowledge that are thought to provide a solid pre-legal education. It is significant that these skills and values are the hallmark of a liberal education. Denison graduates who have chosen the legal profession represent a broad array of majors: chemistry, English, philosophy, religion, political science, history, psychology, Anthropology & Sociology, economics, Black Studies, and Women’s & Gender Studies. An understanding of diverse cultures within and beyond the United States, on international institutions and issues, and of the increasing interdependence of the nations and communities within our world. If you are interested in the complete statement on Preparation for Legal Education approved by the ABA section of Legal Education and Admissions to the Bar, visit the link[aba]. In addition to academic course work, it is recommended that the pre-law student explore the legal profession by completing an internship in a law firm or a legally-related environment. Denison’s link[internship] provides opportunities for students to apply for legal internships or to design their own. A three-week or summer-long internship may help to confirm your career direction and even to define your focus on a particular application of the law. Law School Admissions Test (LSAT) will be administered in October, December, February and June. Registration booklets for the LSAT are available in The Knowlton Center for Career Exploration. While it is highly recommended to take the June test prior to the senior year, you may sit for the September test, with scores being released in late October. December test takers receive their scores in early January and need to be particularly aware of early application deadlines. Details regarding the LSAT are available through the Law School Admission Council Law School Admissions Counselor. A personalized analysis that identifies your strengths and weaknesses so you’ll know how to prepare. Preparation for the LSAT is an individual matter. The Triple Prep Test Plus publication of the Law School Admissions Council is an excellent resource for self-study. You may secure this book and other practice tests with your LSAT registration or borrow copies from the Career Resource Library. An additional option is to enroll in the Kaplan Test Preparation course or the Princeton Review course offered at centers across the country throughout the year. Both also offer courses during the Fall semester at Denison. Call 1-800-KAP-TEST for details. Information for the Princeton Review courses is at the Princeton Review website. Subscribe to the Law School Data Assembly Service (LSDAS) a service which forwards your LSAT scores and your transcript analysis to the schools to which you are applying. Details on the LSDAS subscription are available through the Law Schools Admission Council. Arrange an individual appointment with Career Services to discuss the entire application process including the decision regarding where to file applications. For selection of law schools appropriate for you, use resources in the career resource library. Fast Web for Student Services, Inc. The official guide to US law schools provides a fairly comprehensive two-page narrative profile of all 199 ABA-approved U.S. law schools, usually including a grid reporting previous year’s acceptance profiles. Searchable links of over 199 ABA approved U.S. Law Schools and applications for all law schools is available through the Law School Admissions council website. Home pages of ABA-Approved law schools, Law School Admissions Council, providing current information on curriculum, admissions, financial aid, placement and other details of importance to you in selecting law schools for your application process. The Ohio State University Union on High Street will host a number of law school representatives. Take time to visit tables of those schools to which you are most interested in applying. Pick-up application materials and other law school publications. Complete applications and personal statements well ahead of the stated deadlines. Most schools consider applications as they are completed, so it is advantageous to get yours in earlier than the stated deadline. See The Knowlton Center for Career Exploration for selected resources on writing the Personal Statement. NALP is a nonprofit educational association established in 1971 to meet the needs of the participants in the legal employment process which includes legal employers, law schools, law students, and graduates for information, coordination, and standards. NALP’s membership includes virtually every ABA-accredited law school and more than 800 of the nation’s largest legal employers. NALP is committed to providing leadership in the areas of legal career planning, recruitment and hiring, and research related to the employment market for law graduates. Education Resource page of the American Bar Association (ABA). ABA approved law schools; frequently asked questions about law school accreditation; preparation for a legal education; admission to the bar; careers in the legal profession. The Council on Legal Education Opportunity (“CLEO”) was founded in 1968 as a non-profit project of the American Bar Association Fund for Justice and Education to expand opportunities for minorities and low-income students to attend law school and become members of the legal profession by providing pre-law recruitment, counseling, placement assistance and training. The Internet Legal Resource Guide (ILRG) purports to be a comprehensive resource to the information available on the Internet concerning law and the legal profession. The link above will take you its pre-law page, where you will find numerous links to information on law schools, LSAT preparation, application strategies, rankings, and pre-law guides from various colleges. Hieros Gamos is an even more comprehensive legal research website than the ILRG, with links to sites for law schools, law firms, bar associations, legal journals and much, much more. The link above will take you to their pre-law page, where you will find links similar to those on the Internet Legal Resource Guide. JURIST is the Internet’s legal education portal, the university-based academic gateway to authoritative legal instruction, information and scholarship online. JURIST is edited by a team of Net-literate law professors from law schools across the United States and around the world. It’s designed for people learning, teaching or researching law - legal scholars, law students, law librarians, lawyers and judges, journalists, and interested citizens. Comprised of 25 attorneys and 3 administrative support personnel, the LGD is responsible for delivering professional, comprehensive legal training to over 70 federal law enforcement agencies, including the United States Secret Service, the Bureau of Alcohol, Tobacco, and Firearms, the Bureau of Immigration and Customs Enforcement, the Naval Criminal Investigative Service, the Air Force Office of Special Investigations, and the Internal Revenue Service, among others. Students with an undergraduate degree can apply directly to law firms and other agencies and organizations seeking paralegals, in which case in-house training is offered. A second option is to complete a formal Paralegal Training Program. For an extensive listing of paralegal training programs, visit the web-site noted in the index, National Federation of Paralegal Associates.